Is the Catholic Church ready to abandon ‘just war’ theory and recommit to pacifism? 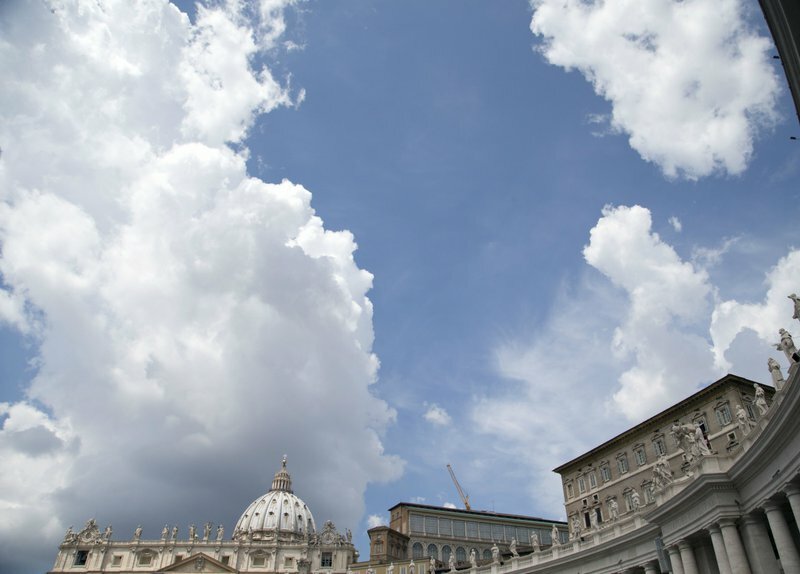 Clouds over St Peter’s Square in the Vatican. Gregorio Borgia/Press Association. All rights reserved. Last month, Bernie Sanders gave a brief but rousing talk at the Vatican on financial inequality and the erosion of democracy. There was some coverage of his remarks in the mainstream media because—well, mainly because he’s Bernie. What most people don’t realize is that another Vatican conference took place almost simultaneously with Sanders’ speech. It was vastly more important, though ignored almost completely except for a few mentions in the specialized press. The subject? Nothing less than a long-overdue reconsideration of ‘just war theory’ that’s been a part of Catholic social teaching for some 1,700 years. What the British navy accomplished by giving rum to their recruits before sending them into battle, the modern military has achieved far more effectively by giving video games to the rank and file. As a result, the great majority of soldiers do now fire their weapons in combat, which takes a devastating toll on the human spirit and leads to a rapid rise in Post Traumatic Stress Disorder and soaring rates of suicide among veterans. But in another sense things just might be different. Last month’s conference is one signifier among many that a sixth wave is being launched. Let’s make this one the last.